Where are my Anglophiles? I’ve got a new show for you to watch: Queens of Mystery. Queens of Mystery consists of three two-part mysteries. Isn’t that how all of our favorite British shows are?! We Americans are used to 22 episode seasons, but if you watch many British shows, you know they have short seasons. 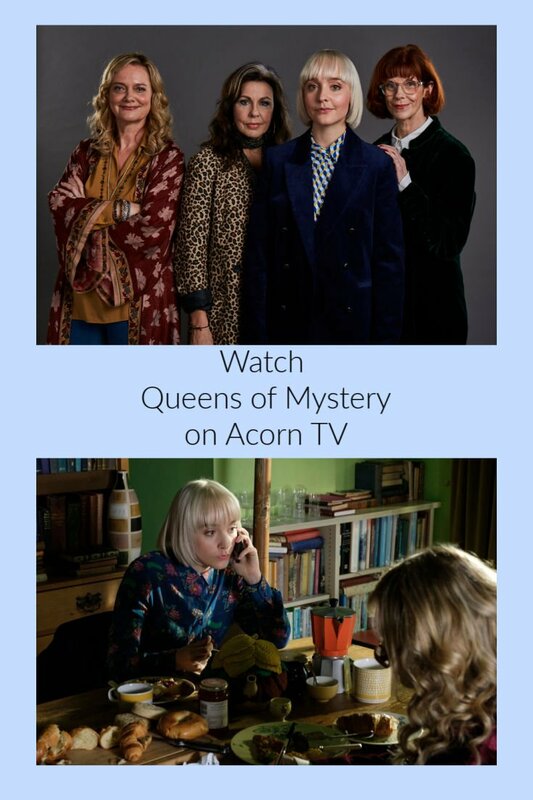 Thankfully, Acorn TV has lots of awesome shows that you can watch when you finish Queens of Mystery. Queens of Mystery follows a young female, up-and-coming detective. 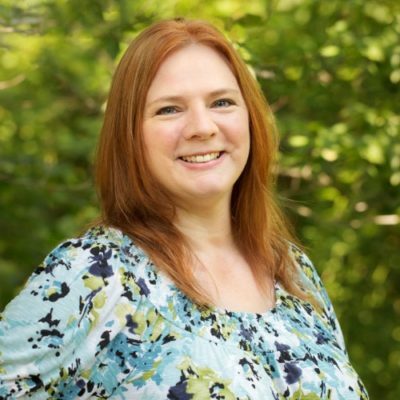 She solves mysteries with the help of her three crime-writing aunts with very different sleuthing styles. In the opening two-part mystery, Murder in the Dark, newly promoted DS Matilda Stone heads to Hiddledean Hall to investigate a murder. Her aunts are there attending the 15th Wildermarsh Crime Writer’s Festival. In a crime as strange as the fiction on display, the prestigious Golden Pick Axe Award has been found buried in the head of a prize nominee, and pages from his latest manuscript have been stolen. The visually vibrant and charming series is worth your time. Juliet Stevenson makes the series even more fun with her whimsical narration. The show also stars Andrew Leung as the dashing Dr. Daniel Lynch; Rebecca Grant as Daniel’s mean-spirited girlfriend Natasha; Michael Elcock as Police Constable Terry Foster who has long been in love with Matilda; and Martin Trenaman as the dry Inspector Derek Throne. 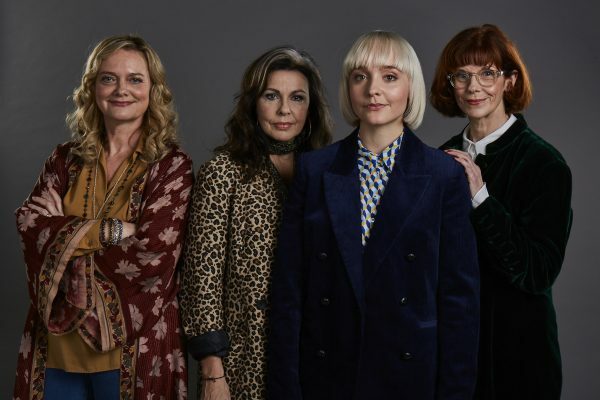 Guest stars include Selina Cadell, Omid Djalili, Chu Omambala, and former Bond girl Carmen Du Sautoy. Episodes 1 & 2, Murder in the Dark is out now, and I really enjoyed it. At first, I was expecting it to be similar to Agatha Raisin, but it’s more Murder She Wrote. If you watched Agatha Raisin, you know there is quite a lot of comedy in it. If you watched Murder She Wrote, you know that it’s much more mystery than humorous moments. But, I have only watched this one, so I may be proven wrong come April 15. The acting in Queens of Mystery is fabulous, and I love trying to solve the mystery as I’m watching. Oh yeah! And I love that they live above their bookstore. That’s what I want to do…live above a bookstore that I own. I can’t wait to watch the next episodes! Episodes 3 & 4, Death by Vinyl (Apr. 15) – Death in Vinyl gives an insight into Cat Stone’s years in an 80s new wave girl band and her love affair with Nikki Holler, its lead singer. “Volcanic Youth” and their entourage have been invited to record a reunion album at an exclusive retreat not far from Wildermarsh – but it’s not long before one of them is found dead in the studio… strangled with a microphone cord. Episodes 5 & 6, Smoke and Mirrors (Apr. 22) – Smoke and Mirrors focuses on a local theatre where an adaptation of one of Aunt Jane’s books is being mounted. When a large sandbag falls, crushing one of the cast, Matilda works her way through her suspects – the larger than life cast and crew of the play, while her aunts do some investigating of their own, and uncover bribes and secret obsessions behind the scenes. I’ll tell you what…if you are a fan of cozy mystery books and mystery books in general, you need to subscribe to Acorn TV. I love so many of the shows that they have…especially Doc Martin. I think I’m going to sob like a baby when this ends. Even though there are years between seasons, it is worth the wait. 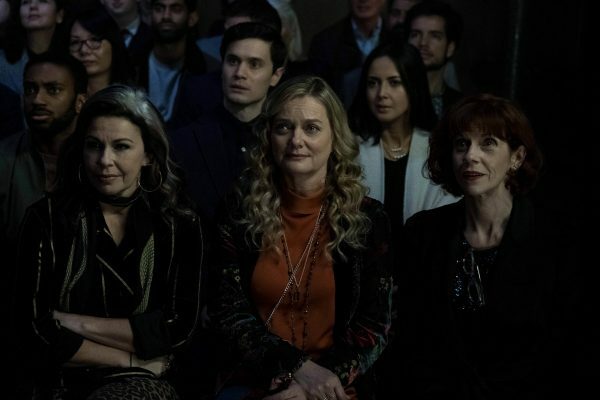 Called “Netflix for the Anglophile” by NPR and featuring “the most robust, reliable selection of European, British, Canadian and Australian shows” (The New York Times), Acorn TV has quickly become one of the top streamers and is commercial free. Acorn TV is part of RLJ Entertainment, which is a privately owned subsidiary of AMC Networks. Acorn TV offers a free trial and thereafter is just $4.99/month or $49.99/year. Looks like a very good show. Thanks for sharing. This sounds like a good show. I am going to check it out!